David Ivgi, critically injured in 2012 counter-terror operation while taking cover from rocket attack, succumbs to his injuries. David Ivgi Hy''d, a civilian injured during the November 2012 eight-day Operation Pillar of Defense, died of his wounds on Tuesday. Ivgi, a 48-year-old resident of Kiryat Malachi east of Ashdod in the coastal region, was critically injured when he was hit by a car while running to take cover after the "Color Red" missile warning siren was sounded. Security protocol for rocket attacks calls for motorists to leave their vehicles and take cover at the side of the road. Another driver apparently panicked at the sound of the siren and sped up, hoping to outpace the missile. Ivgi was thrown in the air, landing on his head and suffering brain trauma. Ivgi had been in hospital in a comatose state for the past two years since for treatment. 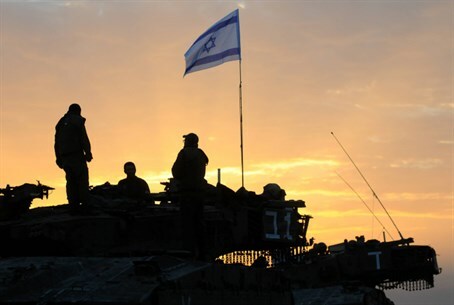 The eight-day counter-terror operation began in response to a barrage of rockets by terrorists in Gaza. During the operation over 1,506 rockets were fired at the Jewish state. Five Israeli civilians, now six, and an IDF soldier were killed in the operation. Ivgi leaves behind a five-year-old son and a three-year-old daughter.